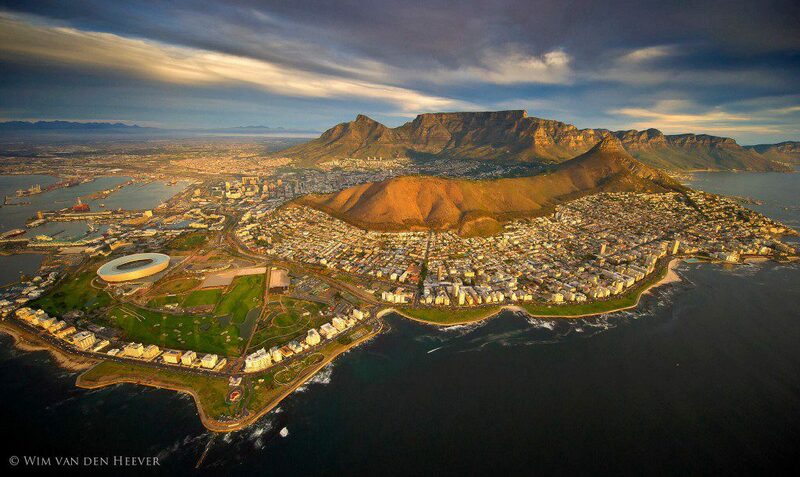 The Western Cape is world renowned for its food and its wine. No traveller has ever gone hungry here! From trendy food markets, to festivals, to food trucks to internationally acclaimed restaurants, the region offers an abundance of culinary surprises for even the most well-travelled and experienced foodies. Iconic Africa has taken a sneak peak at three of the very best restaurants which we highly recommend for our international guests. The Test Kitchen has recently been voted one of the World’s 50 Best Restaurants, an incredible feat for a small independent restaurant at the very tip of Africa. Celebrated Chef, Luke Dale Roberts has crafted this world-class, fusion restaurant into a once-in-a-lifetime experience for restaurant goers. Inspired by his extensive travel in Asia the innovative mix of South African and Asian flavours blend and contrast deliciously. The combination of style, skill and creativity results in bursts of flavour and taste sensations that are a first for many palettes. The food is exhilarating, it is presented with flair on eclectic hand-made crockery and is accompanied by an extensive wine list. The service is impeccable as is the décor ensuring that customers feel as if they are dining in a top New York establishment. We highly recommend the grilled scallop with miso and shiitake and the fricassee of rabbit & langoustine with corn & cinnamon jus, homemade mealie pap and blanquette cream. Both dishes have intricate layers of flavour and delight! The Test Kitchen offers five- and nine-course colourful tasting menus at dinner as well as a five-course and à la carte menu at lunch. Be sure to book far in advance as this spot is in very high demand! Less than an hour from Cape Town is Franschhoek, also known as the “food and wine capital of South Africa.” Two of its foodie gems: La Petite Ferme and The Tasting Room are not to be missed. Nestled on the hillside of the Franschhoek Valley is a scenic wine farm on which sits a quaint farmhouse. On entering the charming farmhouse you are greeted with true African warmth and made to feel immediately at home. The whitewashed chairs and crisp white table cloths give an air of rustic sophistication preparing you for what lies ahead. The restaurant has been in the Dendy Young family for generations and due to their “hands on approach” has won countless local and international awards. Highly acclaimed Chef, Neethling du Toit is passionate and innovative in the kitchen continually creating masterpieces with fresh, seasonal ingredients. From the wine list choose either La Petite Ferme Maison Blanc or the La Petite Ferme Shiraz. Made on the farm these two, and any of the other cultivars will compliment your meal perfectly. To start we recommend the baked prosciutto wrapped in camembert. Then perhaps the slow roasted aubergine wrapped lamb or the slow braised leg of rabbit, provisional of course…to how adventurous you are with your tastes. The lamb will transport you to a Sunday Roast back home, but one with a little extra style and taste! Choosing a dessert is possibly the most difficult choice of all, however if you want to go local the Amarula Cheesecake is a must! In conclusion the food, wine, atmosphere and setting combination sets La Petite Ferme as an unforgettable dining experience at very good value for money. 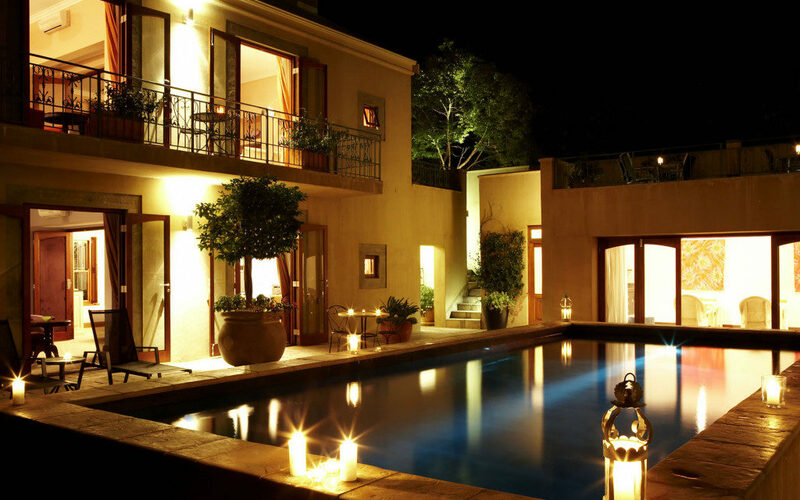 Situated in the very heart of Franschhoek is an unassumingly picturesque, country hotel bursting with sophisticated surprises. Within Le Quartier Français, lies “The Tasting Room” a gastronomic extravaganza like you have never experienced before. Highly acclaimed chef, Margot Janse is excellent at having fun with her profession, her unique 8 course, contemporary African inspired tasting menu promises only to astonish and amaze. On entering, you are immediately transported, the blues, teals and reds wash over you and you are drawn to the statement rope installation of Table Mountain. Brutal simplicity, each place is set with only a small black plate and a glass retaining the air of mystery for as long as possible. You will feel as though you have a relationship with each dish as they are so unexpected and inviting packed with stimulating flavour and texture combinations. Perhaps it’s the signature double baked beetroot and rocket soufflé or the poached salmon trout that will tickle your fancy, whatever is on the menu you are in for a magical affair. If any of the above make your mouth water (even just a little) contact us and we can tailor the perfect African foodie quest for you.